Newington, N.H. (July 19, 2018) –SIG SAUER, Inc. is pleased to announce the limited release of the M17-Commemorative Edition of the U.S. Army’s M17 official service pistol, a variant of the SIG SAUER P320. 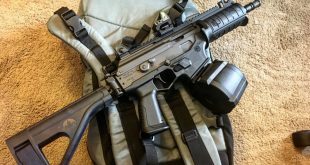 The M17-Commemorative pistol shares the same components, coatings, and markings as the firearm that was awarded the U.S. Army contract for the modular handgun system (MHS). 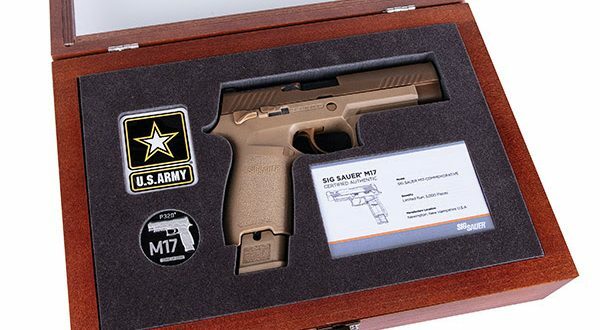 Only 5,000 M17-Commemorative Edition pistols have been produced for sale, and each SIG SAUER M17-Commemorative pistol is serialized M17-0001 through M17-5000 and includes the Army’s required unique identifier (UID). 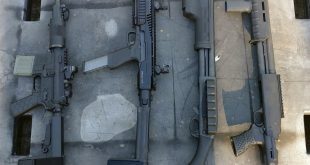 The M17 is sold in the same cardboard packaging as delivered to the U.S. Army. From the pistol to the packaging, the M17-Commemorative Edition is identical to the U.S. Army’s official M17 service pistol. Upon registration of the M17-Commemorative pistol the purchaser will receive an official certificate of authenticity and commemorative challenge coin, both with serial numbers matching the purchased M17-Commemorative pistol. The M17-Commemorative is a 9mm, striker-fired pistol, and comes with two 21-round magazines and one 17-round magazine. The pistol features a coyote-tan PVD coated stainless steel slide with the same optic cut as specified by the MHS contract, coyote-tan colored controls just like the original pistols shipped to the 101st Airborne, and a manual safety. 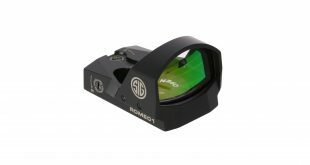 The M17 is equipped with a SIGLITE front night sight and removable Night Sight rear plate. The M17-Commemorative comes with a coyote-tan carry-length grip module. Weight (incl. 17-rd magazine): 29.6 oz. The M17-Commemorative is shipping to stores in August 2018. To compliment the M17-Commemorative, an exclusive M17 Collector’s Case is available for purchase separately atsigsauer.com/store. The case is a solid cherry box, with dark mahogany stain, a tempered glass top, a brushed nickel latch, and a keyhole back for optional wall-hanging. The M17 Collector’s Case features a slate-grey flocked foam insert with an affixed US Army logo, and precision laser placement cuts for the M17 pistol, the official serialized M17-Commemorative Certificate of Authenticity, and the serialized M17-Commemorative Challenge Coin.